Allen Harim, a leading producer and processor of No Antibiotic Ever Chicken on Delmarva, partnered with Woodbridge High School to build a miniature chicken house for students to learn how to raise chicken for meat production.The 10×20 chicken house, part of the Animal Science Program, will have 99 chicks in each flock and students will be responsible for ensuring they have enough feed and water, and are well taken care of. 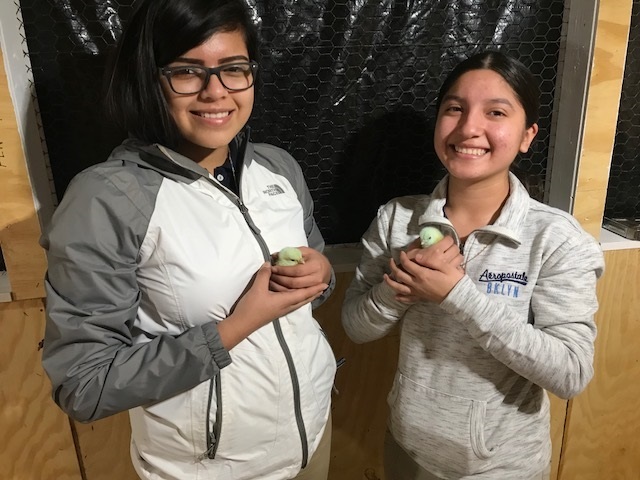 The students will monitor their growth, and when they reach market size, work with a local butcher shop to process the birds. Allen Harim, with financial support from Farm Credit, worked with local vendors to build the chicken house, and will be providing the chicks and the feed for every flock. State and local elected officials gathered on Monday to officially cut the ribbon on the chicken house and meet some of the students and teachers involved in the project. Among the dignitaries were Delaware Agriculture Secretary Michael Scuse, State Senator Brian Pettyjohn, Rep. Dave Wilson, and Sussex County Council President Michael Vincent. The idea for the chicken house came from Jordan Chelton in his senior project last year. Chelton, who was on hand for the ribbon cutting on Monday, said it is exactly as he imagined it when he sketched it all out on paper last year. In addition to Allen Harim and Farm Credit, other sponsors include: Warfel Construction, Eastern Shore Poultry, San Yoder & Son, Pep-Up, 1st State Insulation, Agralarm, T.G. Adams & Son, A&B Electric, and Hobbs Contractors.